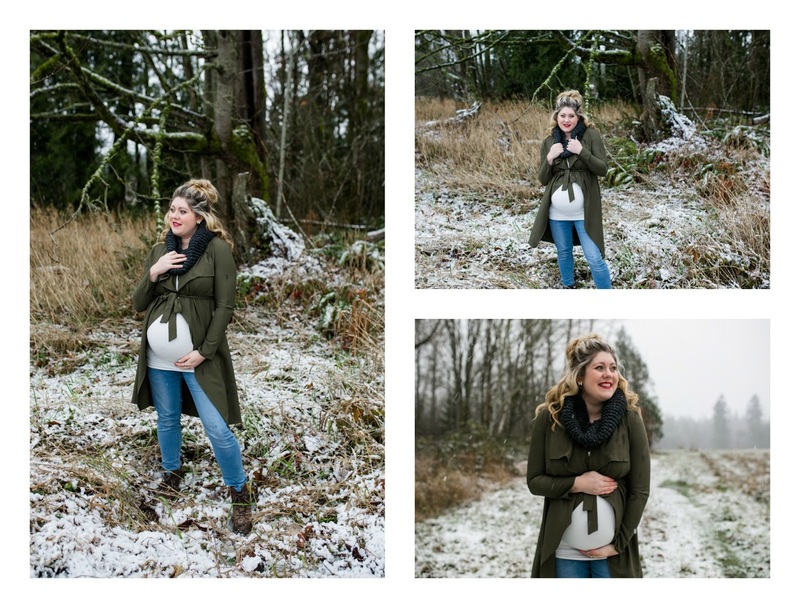 The one thing that I love about pregnancy is being able to style it up! This time around has been a lot of fun because I have actually needed to purchase new maternity clothes. 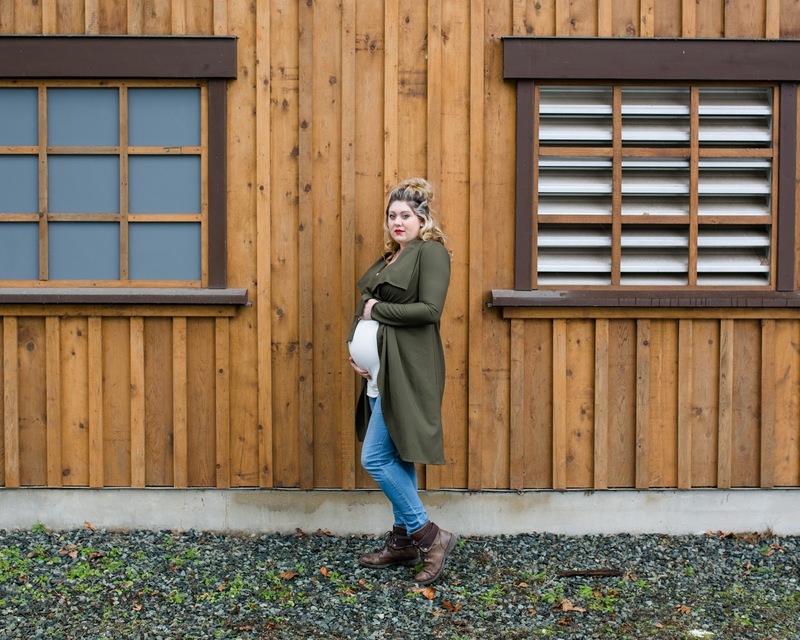 All my other pregnancies I was able to use what was already in my closet as most of it fit me right till the end. My favorite seasons are Fall and Winter for fashion. These are the seasons that you can get access to great pieces that will last you for other seasons as well. Since doing a capsule wardrobe back in the Spring I learned how important it is to pick pieces that will transition well along with being able to create more than one look from it. I have been needing a coat since I’ve outgrown all my other ones. I hate looking and feeling bulky and found that when I went searching for a new one that is exactly how I was feeling in all the ones I tried on. 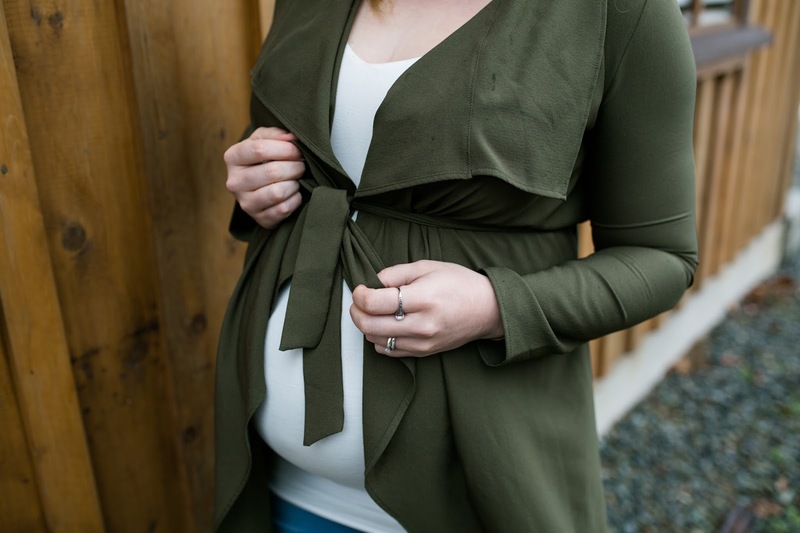 With this cute maternity Olive Green trench coat from Pink Blush Maternity, it gave me the freedom for my bump along with a nice slimming look. The color is a classic in my eyes and would go fantastic with a dress, skirt & legging, dark jeans and various tops. I love the cut of the top of the coat as it allows you to see any accessories that you add to your look. Being pregnant leaves me with little energy even on the best of days so I tend to dress more casual than on the fancy side. With this trench coat, it gives me a little boost in my more casual looks which I love. For the colder days add a scarf for another look (see below). Now, for those holiday date nights or parties, I found the perfect dress! I have always wanted to wear pleats in an outfit. This burgundy pleated dress was the pleats of my dreams and satisfied my longing. I recently wore it to my husbands staff party and felt comfortable the whole night which is a must when picking an outfit. I know they say pain is beauty but for this gal I NEED to feel comfortable and confident otherwise it’s a no-go. 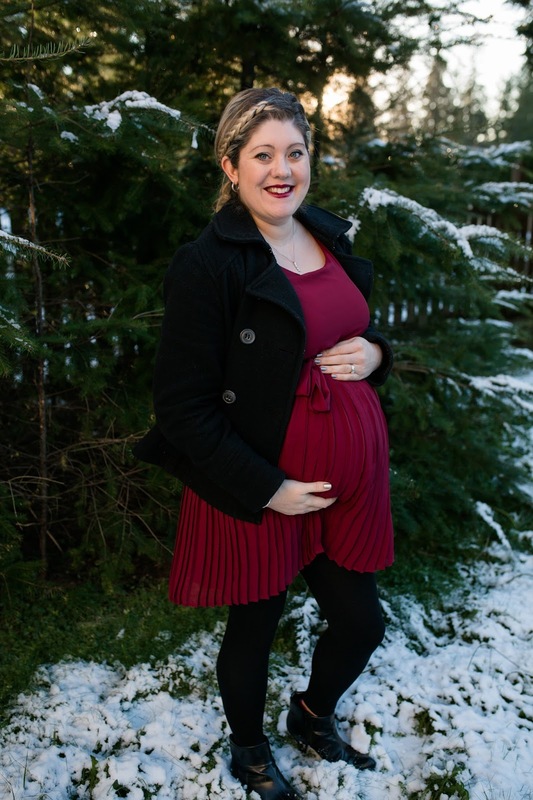 Yay for awesome maternity dresses! Both of these pieces will be able to stay with me as I transition from maternity to post-partum and beyond! 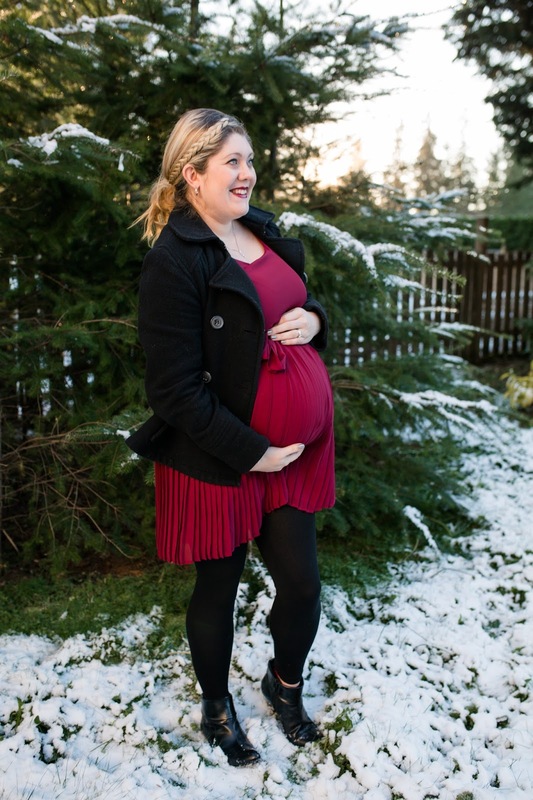 Shop Pink Blush is offering ONE Adventurous Mama reader a $75.00 Gift Card to their shop! You want to know the best thing, you don’t have to be expecting to take advantage of this giveaway! 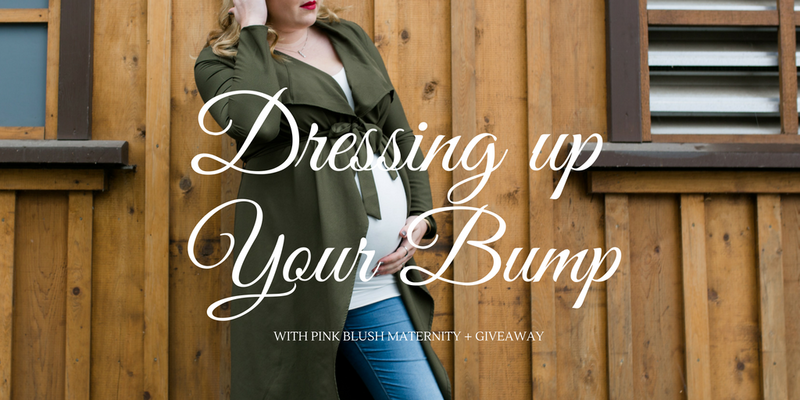 Most all of their clothes are versatile and can be used sans bump. They also have a section for non-maternity clothing. I love that red dress on you! Gorgeous! !